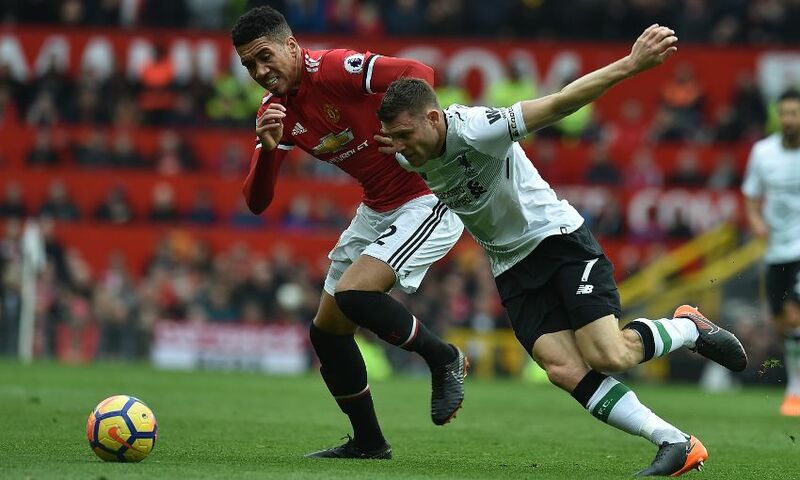 Liverpool fell short of a comeback against Manchester United as they suffered a 2-1 defeat in the Premier League clash with their rivals at Old Trafford. Marcus Rashford’s first-half double left the away team with a mountain to climb, which they threatened to achieve during a second period that they dominated. But their pressure yielded only an Eric Bailly own goal and, despite their continual exertions, Jürgen Klopp’s side were unable to produce an equaliser. The manager made five changes to his starting XI, with Mohamed Salah and Virgil van Dijk among those recalled for the showdown with Jose Mourinho’s men. Backed by a vociferous away crowd, Klopp’s team strode out at the home of their arch-rivals with the intention of leapfrogging them in the Premier League table. The trademark hype surrounding the fixture – this the 200th competitive meeting – was not borne out in the opening 10 minutes as the period passed by with little real action to speak of. But the difficulty of the visitors’ mission increased before the quarter-hour. Romelu Lukaku flicked David de Gea’s goal-kick into the run off the left of Rashford and, having taken the pace off the ball with his head, the England international checked inside the recovering Trent Alexander-Arnold and swerved a powerful finish into the far corner. Sadio Mane was inches away from reaching Roberto Firmino’s dipping back-post cross and Van Dijk miscued a header from yards out after shaking off his marker, Nemanja Matic, to meet James Milner’s corner. Instead, the hosts doubled their advantage in the 24th minute. Lukaku again caused problems as he collected a De Gea knock forward and though the striker’s attempt to slide in Juan Mata was thwarted, the loose ball fell to Rashford and he threaded a shot into the net. Mata sent an acrobatic volley wide when picked out by Alexis Sanchez’s lofted centre from the left, and the sides returned to the dressing rooms for the interval with the score 2-0. Liverpool took the game to United straight from the restart. Van Dijk nodded a Salah corner onto the roof of the net, the Egyptian had penalty claims waved away as he tried to control a pass under pressure from Ashley Young, and the referee rejected appeals for handball when Andy Robertson’s cross struck the arm of Antonio Valencia in the area. Undeterred, they continued to mount pressure – and it told on 66 minutes. Mane sprinted along the left edge of the box and clipped in a cross which Bailly failed to properly clear, sending the ball towards his own net and leaving De Gea helpless to prevent a goal despite his touch. The hosts dropped deeper to defend the now slender lead as a result, while Klopp switched up his approach with the introductions of Adam Lallana and Georginio Wijnaldum. Dejan Lovren denied United a third with a reaction block as Sanchez forged space on the left flank and squared for Mata to send a close-range shot goalwards. Six minutes of stoppage-time set up the opportunity for a grandstand finish but despite a succession of corners, and a last-gasp half-chance for Salah, it was not to be for Liverpool.